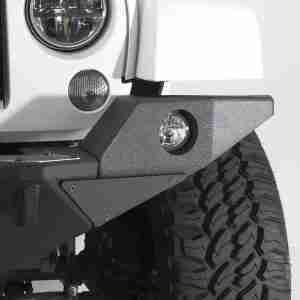 These Smittybilt XRC bumpers are engineered to provide maximum clearance for rock crawling. 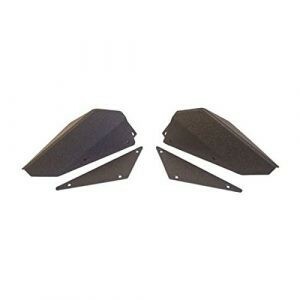 They have high-degree approach angles and raised corners to maximize ground clearance, with 3/16 in. cold-rolled steel bars robotically welded for exact specifications. 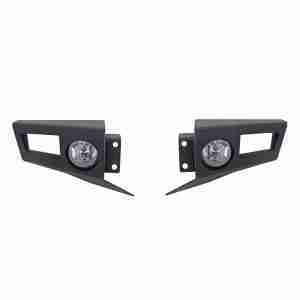 Smittybilt XRC Atlas front and rear bumpers are the latest and greatest products to come out of the Smittybilt R&D department. 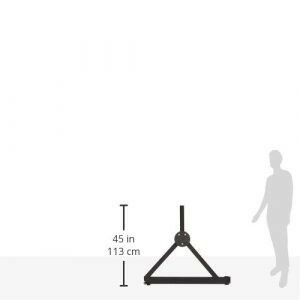 They’ve gone through extensive design and testing to meet stringent international pedestrian safety standards. The new M.O.D. 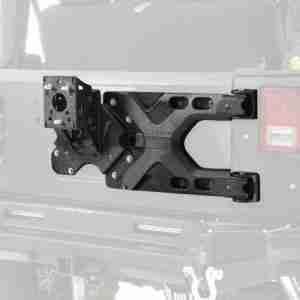 bumper system allow you to build your bumper in any configuration for any situation! 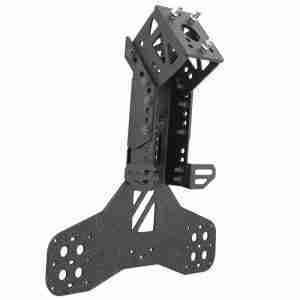 For use with XRC M.O.D. 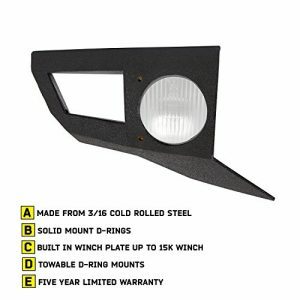 Front Center Section Bumper with Winch Plate. 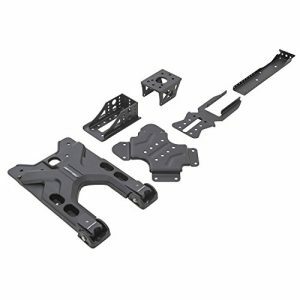 The JK XRC M.O.D. 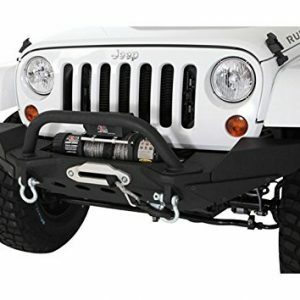 Bumper System allows you to design your bumper for any terrain. 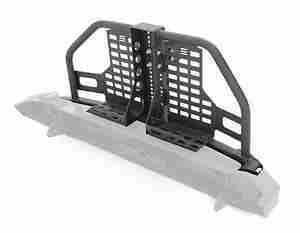 The Mid Width End Plate ensures that bumper clearance wont be sacrificed when wheeling in the harshest conditions. 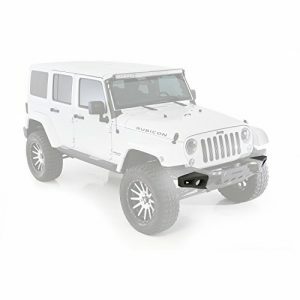 The JK XRC M.O.D. 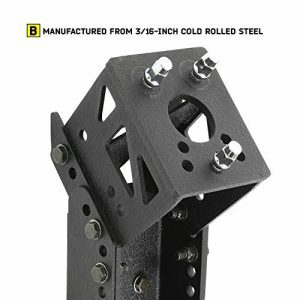 Bumper System allows you to design your bumper for any terrain. 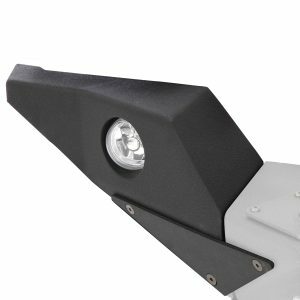 The Full Width End Plate ensures that bumper clearance wont be sacrificed when wheeling in the harshest conditions. 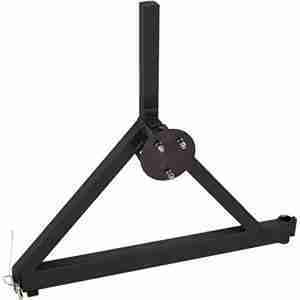 Smittybilt XRC Atlas tire carriers are designed to attach the spare tire directly to a Smittybilt XRC rear bumper. 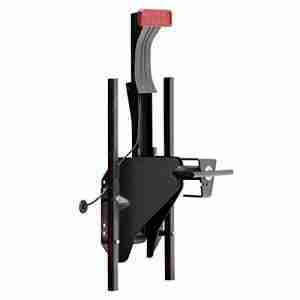 They are fully adjustable, feature a heavy-duty billet latch with a camlock system and safety catch that will hold the swing-away open while parked or positioned at an angle. 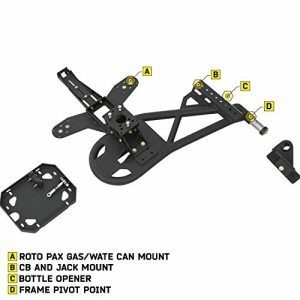 The carriers have provisions for a Jerry can, lift jack, and 3rd brake light mounting bracket. 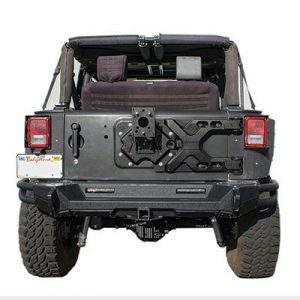 Spare tire carriers in their conventional, upright positions are a necessity for every Jeeper, whether on the road or off. 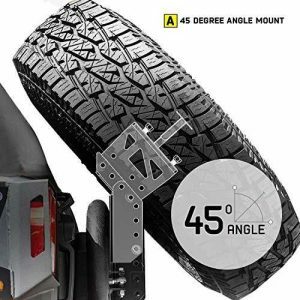 But when the terrain gets extreme and your standard hard top comes off, the Slant Back Tire Carrier Kit allows you to move your spare tire into an aggressive, 45° pre-runner position. 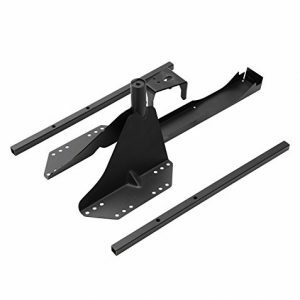 Designed for XRC Gen2 Bolt on Tire Carrier, SB-76857 and SRC Gen2 Pivot HD oversize tire carrier, SB-2843. 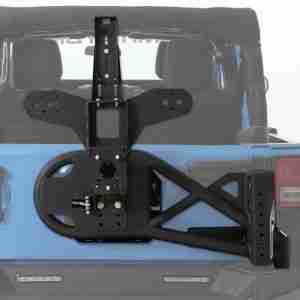 The Smittybilt Oversize Tire Mount is the most economical way to mount an oversized tire onto your JK Wrangler. 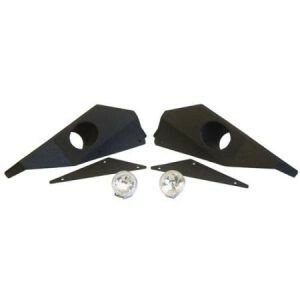 Attaches to the factory tailgate using the existing holes and requires no drilling or modifications. 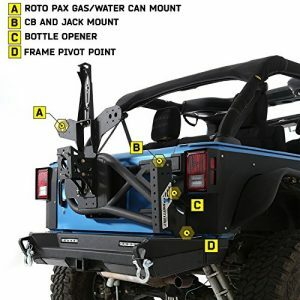 The Smittybilt SRC Oversize Tire Carrier is the most economical way to mount an oversized tire onto your Jeep Wrangler JK. 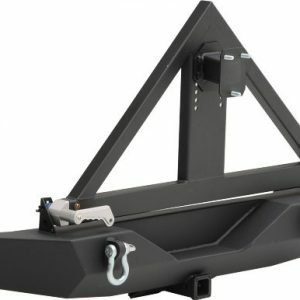 These Smittybilt XRC swing-away tire carriers are designed to attach the spare tire directly to a Smittybilt XRC rear bumper. 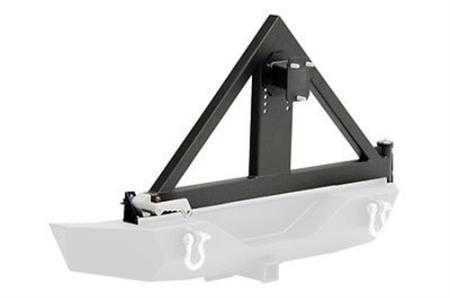 Fully adjustable, these carriers feature a heavy-duty billet latch with a camlock system and safety catch that will hold the swing-away open while parked or positioned at an angle. 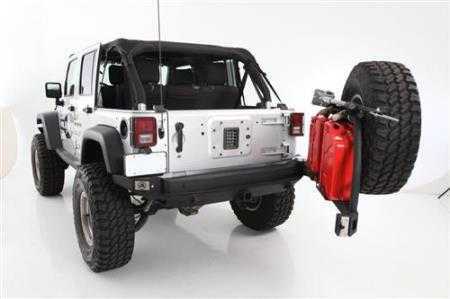 Add a tire carrier to your new Smittybilt Gen2 XRC/SRC Bumper to get bigger spare tires on your Jeep. 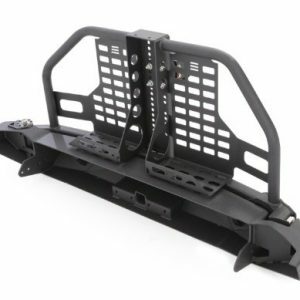 This new tire carrier design bolts directly to the new XRC/SRC Gen2 Bumpers, and includes Roto Pax and CB antenna mounts. 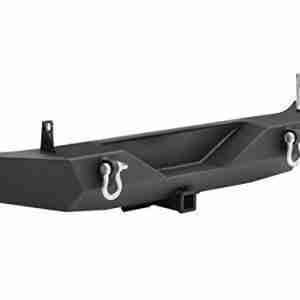 Smittybilt SRC Classic tire carriers are designed to hold your spare tire in place when using a Smittybilt SRC rear bumper. 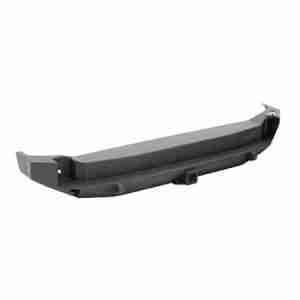 They feature all-steel construction and have a black powdercoat finish for maximum durability on the road or off on the trail. 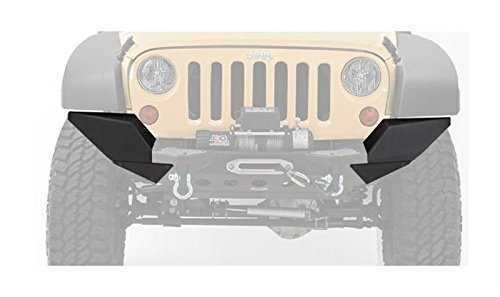 Their unique design won’t interfere with the tailgate, so you can easily access cargo without popping off your backup sand paddler!